The project is being constructed on the Indus river, upstream of Dasu town in Kohistan district of the province, sources said. 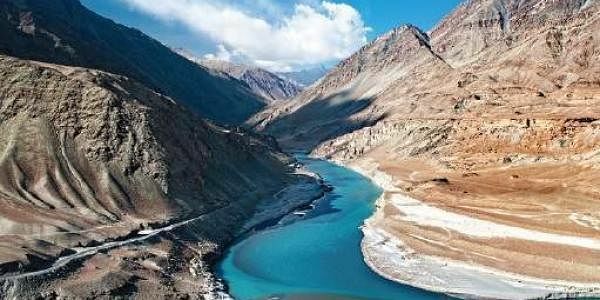 ISLAMABAD: Energy-deficient Pakistan has awarded two contracts worth Rs 180 billion to a Chinese firm for the construction of a part of a hydropower project on the Indus river in the northwestern Khyber-Pakhtunkhwa province. Pakistan's Water and Power Development Authority (Wapda) and China Gezhouba Group Company (CGCC) signed the agreements yesterday for carrying out main civil works in the first stage of the Dasu hydropower project. This stage of the project, expected to be completed in 2021, would generate 2,160 MW of electricity. The selection of the contractor was through international competitive bidding among pre-qualified Chinese firms, Dawn reported today. The project is being constructed on the Indus river, upstream of Dasu town in Kohistan district of the province. The World Bank is partially funding the Stage-I, while a major chunk of funds is being arranged by Wapda from its own resources and with the sovereign guarantee of the Pakistan government. Power Minister Khwaja Mohammad Asif said the project is critical to Pakistan's energy needs and will herald a new era of affordable electricity generation. Pakistan faces a huge energy crisis and governments have failed to rapidly augment its electricity generation capacity. It faces a shortage of up to 8,000 megawatts, according to reports, leading to load shedding for hours in several parts. Asif said the government would lay foundation stones for two other dams this year. Wapda chairman Lt Gen (retired) Syed Muzammil Hussain said the total cost of the first phase of the project was estimated at USD 4.2 billion. Hussain assured the second phase - capable of generating 2,160MW - would not take a long time given the fact that the main dam would already be available and the second stage would involve only setting up a power house at an estimated cost of USD 2 billion. Dasu Project Director Javed Akhtar and CGGC representative Tan Bixuan signed the contracts on behalf of the two firms.